HTC EVO 4G - HDMI Video Sample (spelled, HDML on the site. Will Sprint Charge Extra For Using 4G On The EVO? I just got off the phone with a Sprint CSR, Kathy, who assured me that Sprint will NOT charge extra for using 4G on your new EVO 4G. 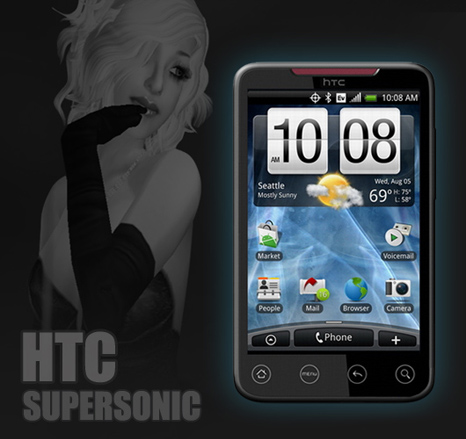 Here is the long awaited announcement from Sprint/HTC - the Supersonic name is no more and the phone is now called EVO 4G. It will be released this summer, so roll your tongues back up, pick up your jaws and prepare for the painful wait. Get ready to be taunted by the HTC HD2 (which is very similar but running WinMo) owners, and coming out any day now. Here are the specs of this monster.